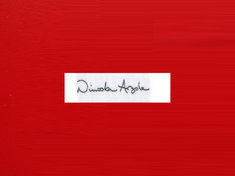 The perfect label is one that captures the essence of the brand. Our consultants and design professionals collaborate with your team to develop a label that’s totally, inimitably you. Whether you make rugs or wedding dresses, we help you create your brand with expert inputs on color, design, motif and theme. Create a distinctive brand for your fabric product, whether it be clothing, accessories, home products, sporting goods, or industrial items. 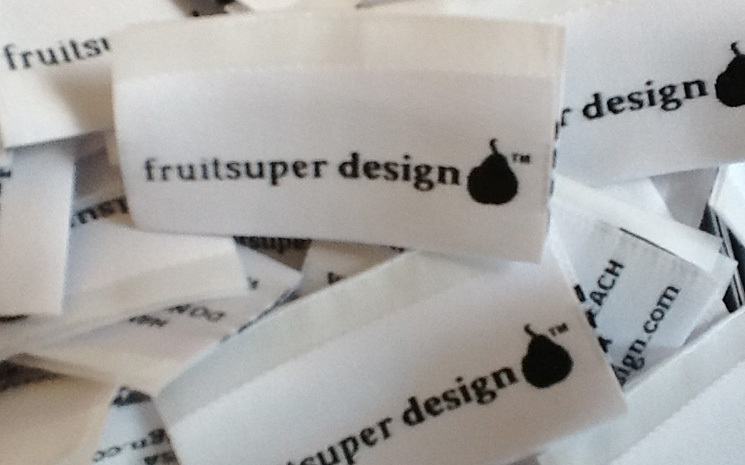 Once you’re happy with the design, we give you a sample label so you know whether it’s perfect for you. From design to delivery, we have the expertise to create an impeccable marketing asset that showcases your product in all its glory. 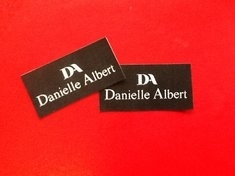 A “damask” apparel label (premium and midgrade) is thicker and has more “density” with than taffeta (economy). 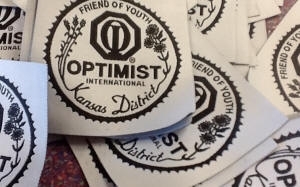 Furthermore, damask woven labels for clothing provide more definition to the edges of your art design-that are smoother, and have high definition design quality. Roxwell Waterhouse is here to help you every step of the way to ensure that the ordering process is easy hassle-free and manageable. 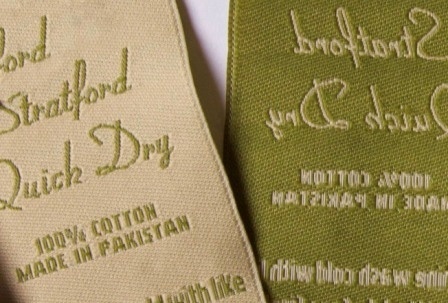 The type of labels are woven from scratch on large looms that read your digitally encoded design graphic files. Your artwork is actually transformed from a digital file to a 100% woven product. 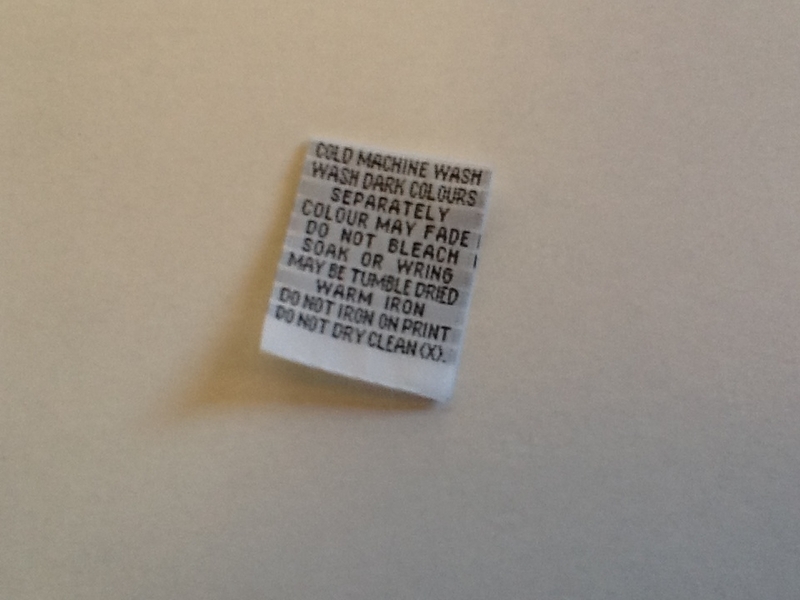 Most of these custom woven labels are made of polyester fibers. 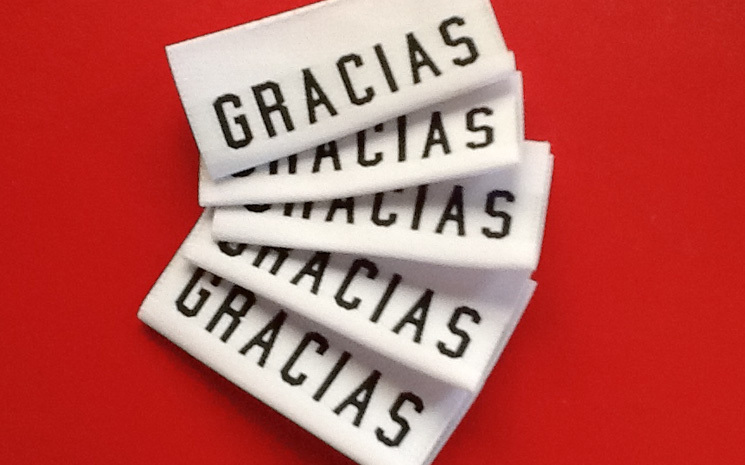 Though there are several types of labeling products available, we automatically upgrade each order to high definition woven damask with an introductory order of 500 pieces. The edges are commonly finished with the “hot cut” method. 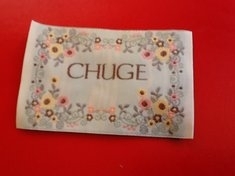 The labels are woven on large sheets and then cut with a hot wire. This method seals the edges, allowing for fray proof sewing. Another finishing option is the ultrasonic cut, where the edges are cut with high frequency sound waves. Rather than being melted with a hot knife, the edges are feathered. This type of cutting allows for a super soft edge. 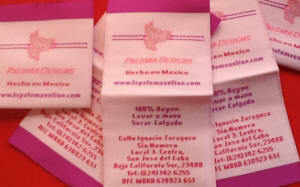 There is also an expensive “woven edge” option—this is recommended for extremely small labels of smaller than 0.5″ in height. This type of option is relatively uncommon because of the price and the higher minimum quantity requirements. For your label design, the best practice is simplicity That is, two dimensional with very clear cut solid lines. 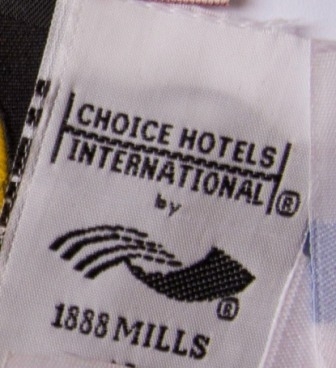 Details such as shadowing and color transitions are usually illegible with small woven tagging. 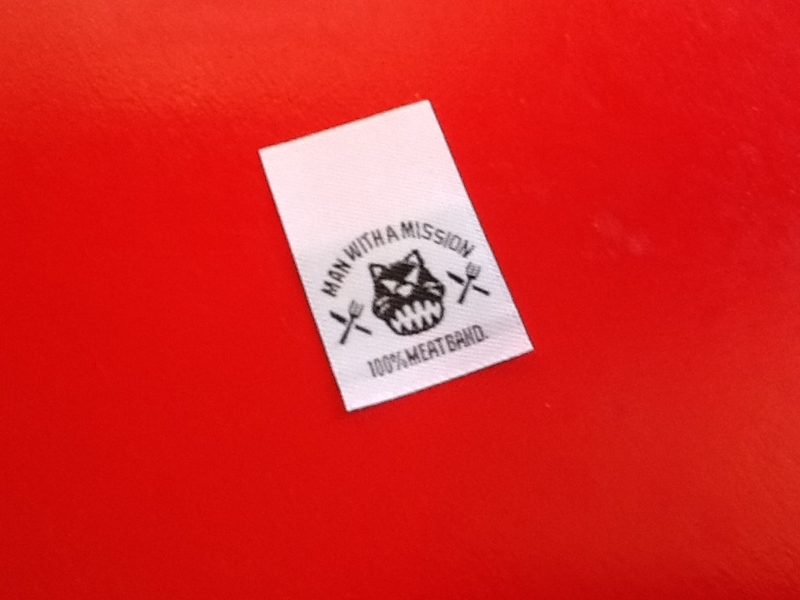 Woven custom clothing labels are manufactured based on your specification for the artwork. A loom weaves your artwork or graphic as part of the fabric. 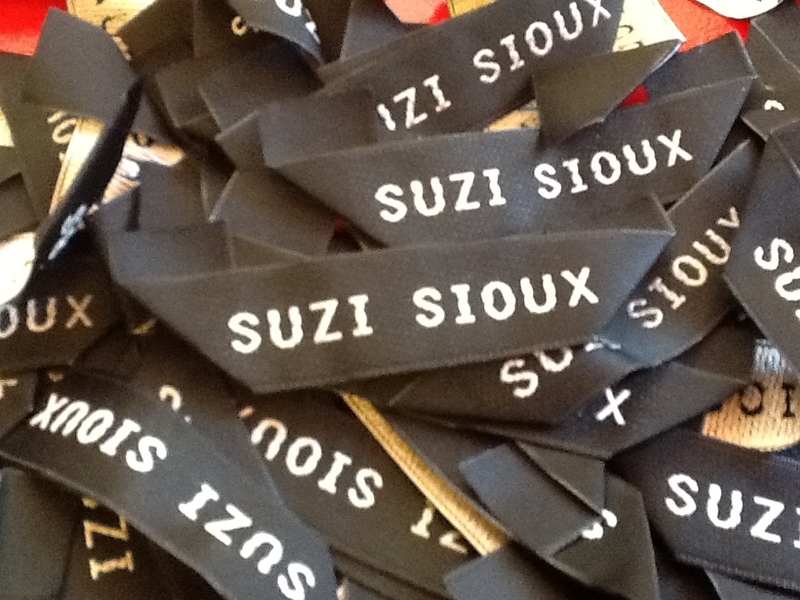 The labels are then cut and/or folded. 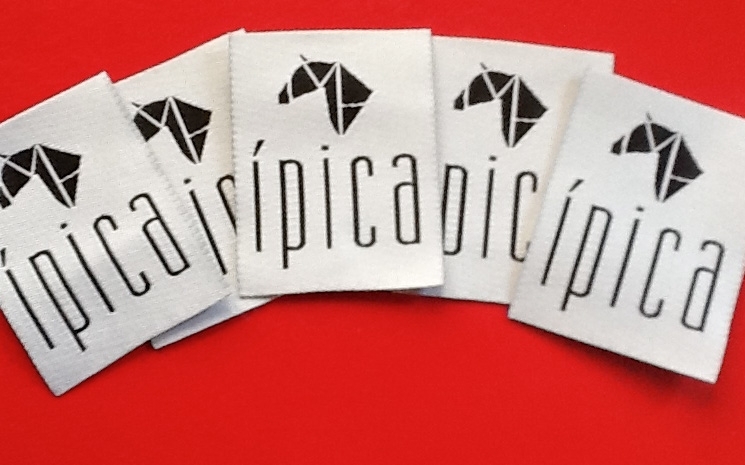 These labels are professionally finished and ready to sew. Long lasting through repeated use, including washings and dryer use. Artwork/graphics limitations: All artwork, logos, and lettering have to be a clear, smoothed edged presentation. When you say the right things, the right things happen. At Roxwell Waterhouse, that’s exactly what we do for you. 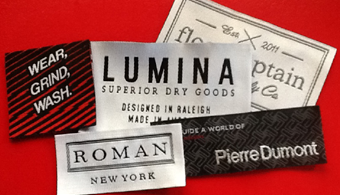 We help you make the right impression with impeccably designed custom clothing labels that do more than just spell out your brand name. We are craftsmen at heart and we’re very serious about our craft. 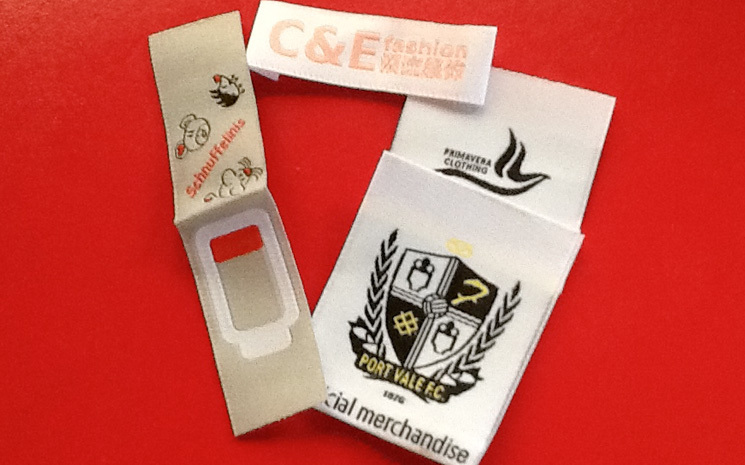 We provide premium textile branding solutions that go above and beyond the traditional. 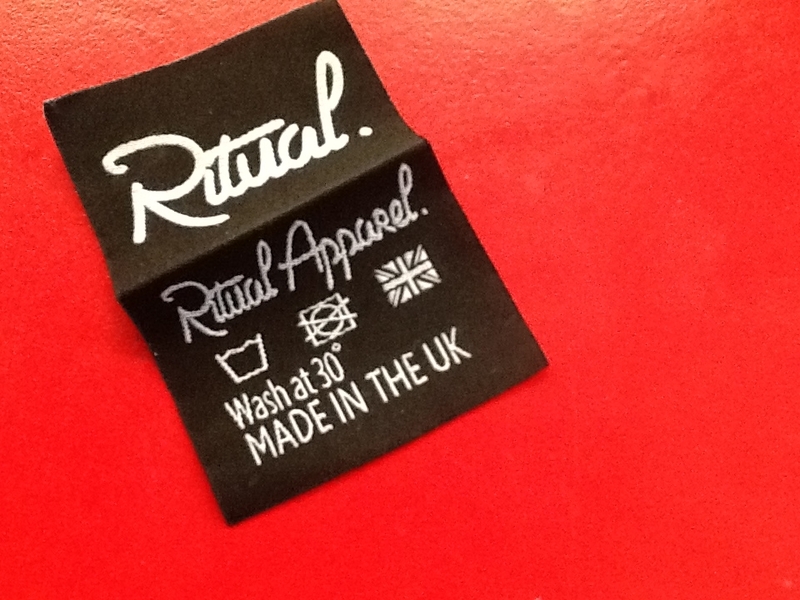 As a full-service shop, our expertise encompass the range of services for label design and production, whether it’s for clothing, furniture, rugs or any type of product that use textile labels.